The 12th Annual Heartland Nationals came to an exciting conclusion on Sunday. The highlight class of the event, Top Eliminator, came down to a final round between #8 qualifier Courtney Stidham of Texas versus #16 qualifier Jeff Sieg of Missouri. At the green, Stidham gained a starting line advantage and never looked back taking a 3.02 to 3.01 victory back home to Texas. In the Top Alcohol class, Pat Goodale brought the title home to Michigan, getting a single run in the final after Rod Trower was unable to make it back after round one breakage. Oklahoma’s Kenny Kapple scored a big win in the Pro 1 Cars class defeating a tough field. Rick Lovelace (Pro 1 Quads) & Wyatt Fomby (Pro 2 Cars) also were winners on the final day of the Heartland Nationals. The 2010 Pro Truck Nationals series kicked off with a great event in Cleves, OH at the IOK 4-Wheelers grounds. After a rough weather day on Friday, racers were greeted with sunny skies & warm weather. The Pro Truck field was 24 strong & put on a great show with several runs decided by less than one-thousandth of a second. 3.5 Index once again was a thriller throughout eliminations with close racing & upsets throughout. The debut of the new Pro Outlaw class didn’t disappoint, with great heads-up action. Let’s take a look at some of the cars and stars from the PTN Season Opener with photos from our friends at Lone Star Graphics, www.LoneStarGraphics.com. Gary & Michelle Burrow made the long haul out from Texas and should have their photo gallery online soon from this event and ready for purchases. 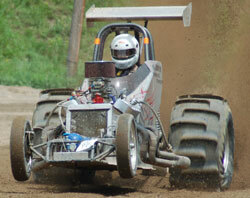 The 2nd Annual Battle at Big River is coming to Big River Sand Drags in Bonne Terre, MO on June 12. This event features the Gallay Motorsports Quick 16 Shootout with a $2000 guaranteed purse. NSDN will be on-site with Daily Race Coverage from this great upcoming event. Read on to view the event flyer. 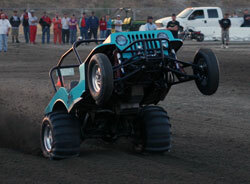 There was some great action at the 2010 NSDA Walt’s RV Summer Nationals. Warm temps & sunny skies blessed the NSDA racers over the weekend & the racers didn’t disappoint with great racing all weekend long. Here are some great photos from the event from some new photographers to the sand drag racing world. Action XT Photography came out and caught some great shots at this event. They have their photos online from this event at www.dunepix.com. The NSDA CANIDAE Pet Foods Nationals at the Lake Elsinore Motorsports Complex was the first race at this new venue and certainly did not disappoint. From the great weather to the frequent air show beyond the track to the hot and heavy racing action on track; this race was the beginning of a bright future of racing at this great new Southern California race track. 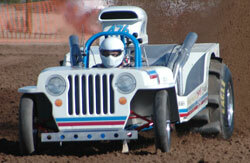 Here is a detailed look at the racing action from this Inaugural event at Lake Elsinore. 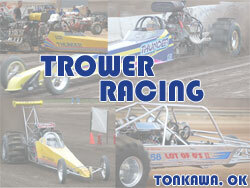 Atoka Motorsports Park in Atoka, OK held their third point series race of the 2010 season on May 8. At this event, three Top Eliminator teams came out to test in preparation for the upcoming May 28-30 Heartland Nationals. Danny & Robert Smith came out with their Blown Dragster and ran passes of 3.23 & 3.11. They were happy with those passes. Russ Bailey made the haul from Missouri with his Turbo Motorcycle-powered Buggy and ran a string of 3.2 second passes. Jerry & Aaron Dial brought their VW Dragster out and had some issues, but will be back for the Heartland Nationals event. The Fomby Racing team stood out in the actual race with Wyatt sweeping both Pro 2 Cars classes and Ethan going to the final round in both Pro 1 Cars classes. Les Steelman's runner-up in the Pro 1 Cars class extended his points lead. Read on for full results from this event. After a quiet start to the season, things are ready to explode in May with lots of great sand drag racing action across the country. NSDN’s schedule is jam packed with big events and coverage across the country in the upcoming month. 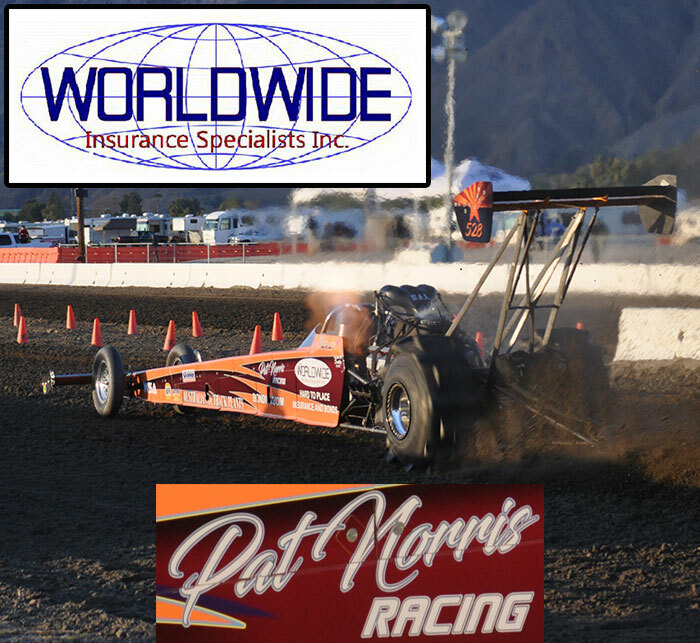 May 14-16, NSDN will be at Lake Elsinore Motorsports Complex in Lake Elsinore, CA, for the NSDA Walt’s RV Summer Nationals. The Inaugural NSDA Lake Elsinore event last month showed what huge potential the facility has in promoting the sport with a great spectator turnout. The on track action also was nothing to sneeze at with a Top Fuel World Record being set (more on that later in this article), Top Alcohol records nearly being broken, and razor close races in each category. It should be amazing to see what the next event has to offer. Sand drag racing has lost a family member as Allan Durning has passed away. 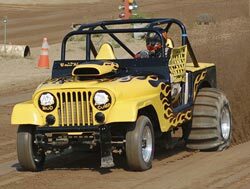 Allan was the owner, builder, and crew chief of “Eugene the Jeep” driven by his son, Craig. The Durning Team with “Eugene the Jeep” has been a long time stand out in Pro 1 action on the west coast. Our condolences go out to Craig and the entire Durning family. Update: Services for Allan Durning will be held on Saturday, May 8 at 10:30AM. The memorial service will be held at Allan’s residence; 35815 W. Antelope, Wellton, AZ 85356. Atoka Motorsports Park in Atoka, OK has released the race flyer for the upcoming May 28-30 Heartland Nationals. The folks at AMP are gearing up for another great National event. Top Eliminator will be the headline class with a $5000 purse up for grabs. Read on for full details of this great upcoming event.